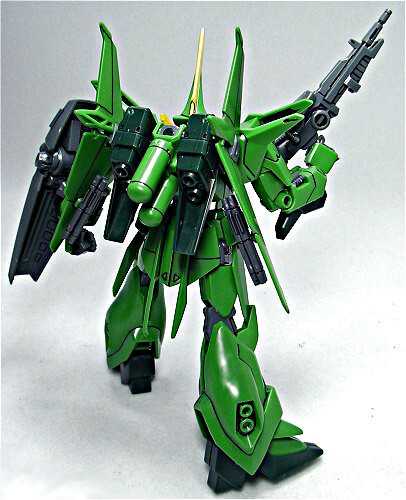 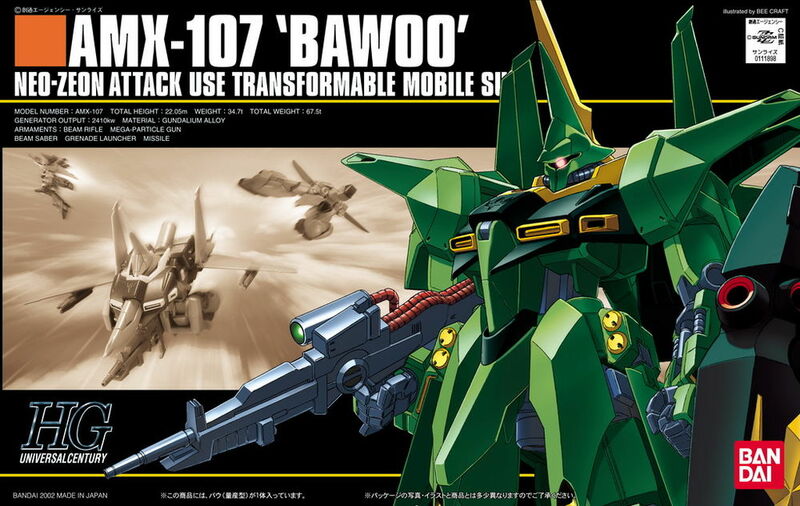 The AMX-107 Bawoo makes its (re)appearance in 1/144 scale in the HGUC line, this time molded in green instead of red! 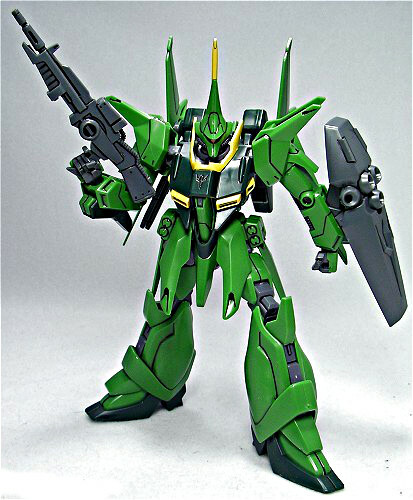 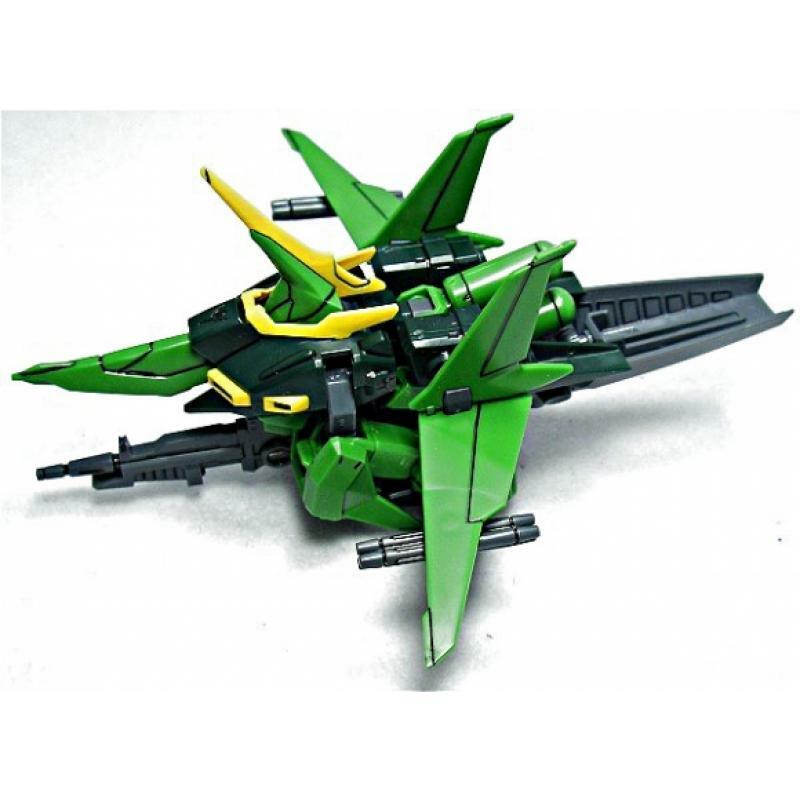 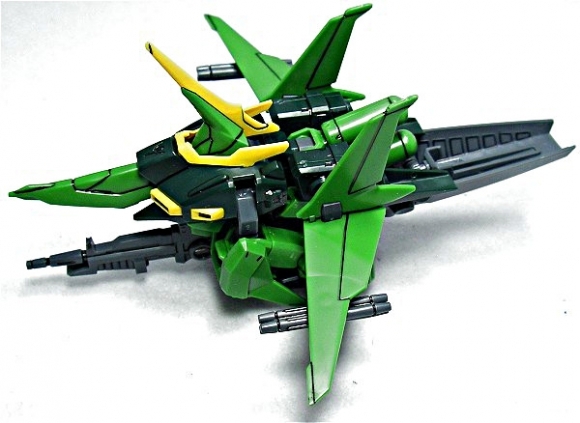 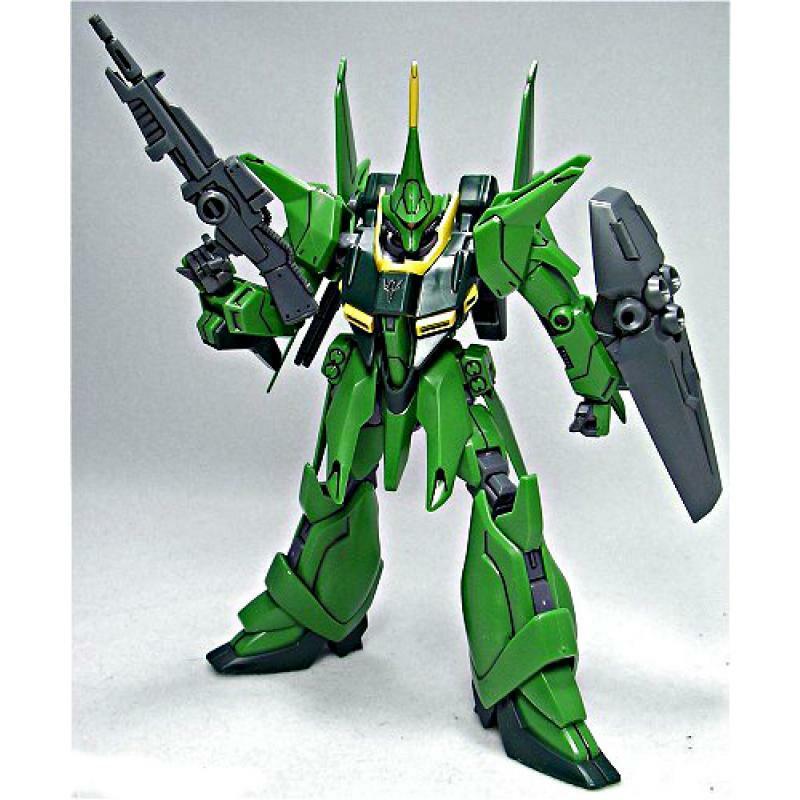 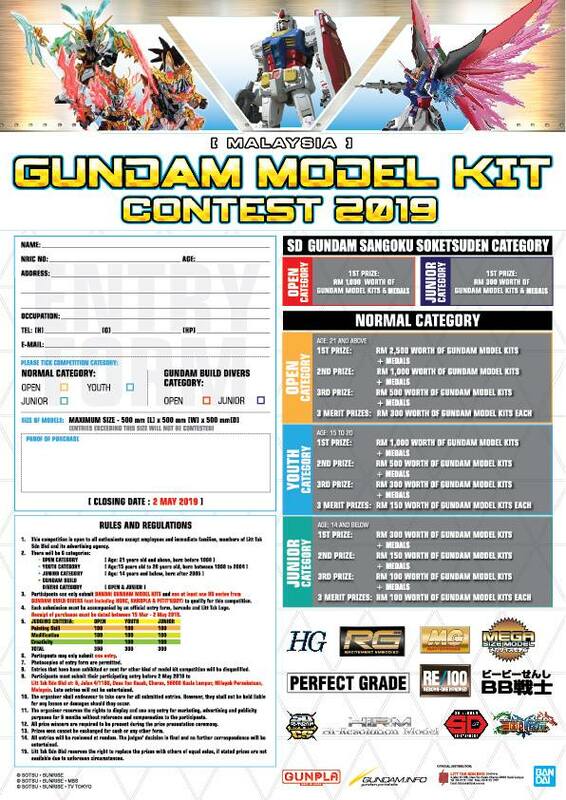 This kit transforms from flight to fight mode just like it does in Gundam ZZ. 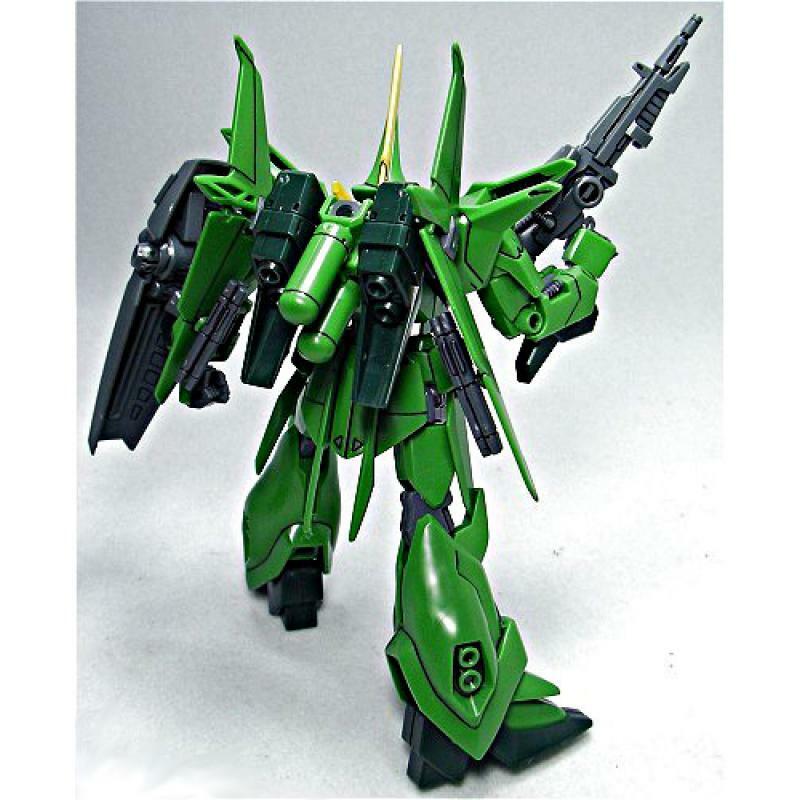 Accessories include a beam saber and rifle as well as interchangeable hand parts.